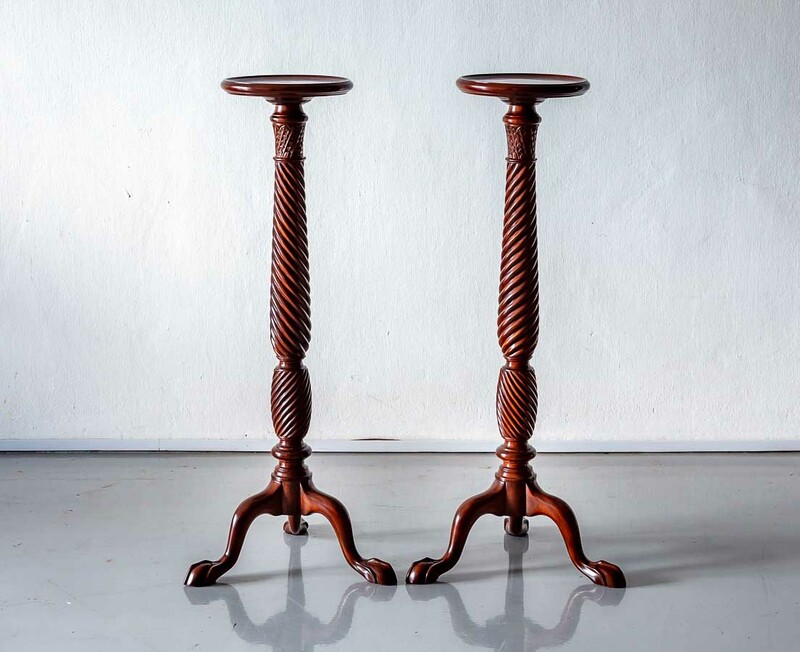 A pair of elegant British colonial torchères or plantstands in quality dark mahogany. 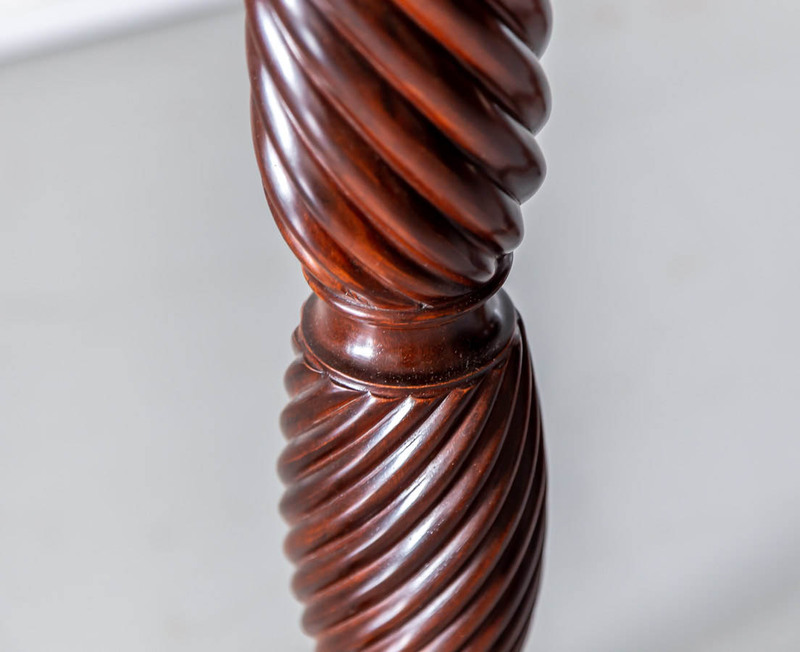 They have a shaped round top with a ringed neck, resting on a columnar carved support. 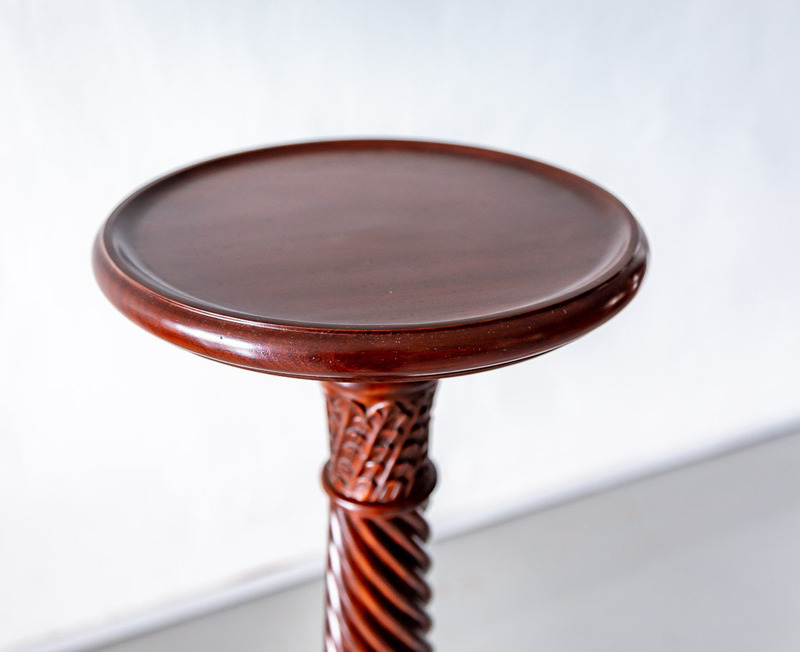 Raised on a tripod of cabriole legs ending in talon and egg feet. 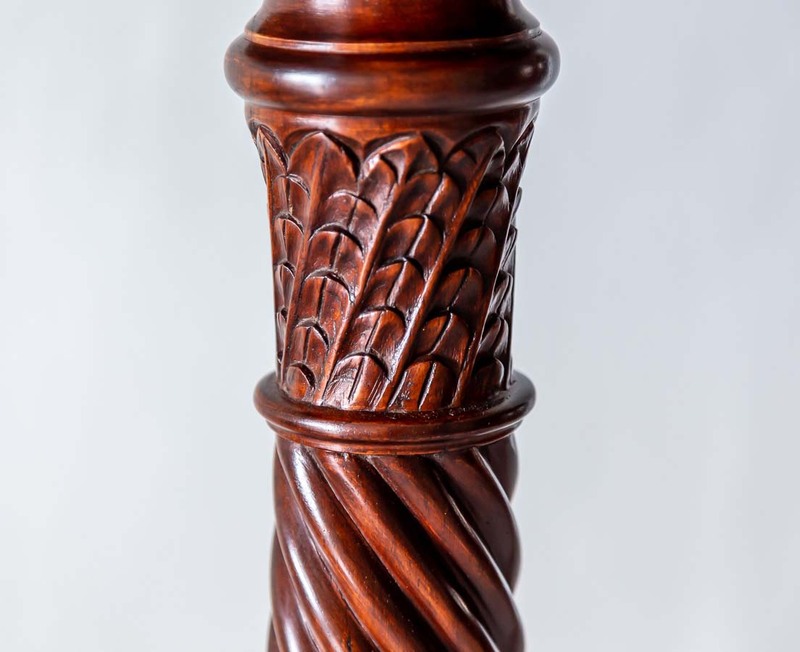 The Torchères are in good condition, solid and stable and have been lovingly restored and finished to its former glory using a traditional form of French polishing and waxing. 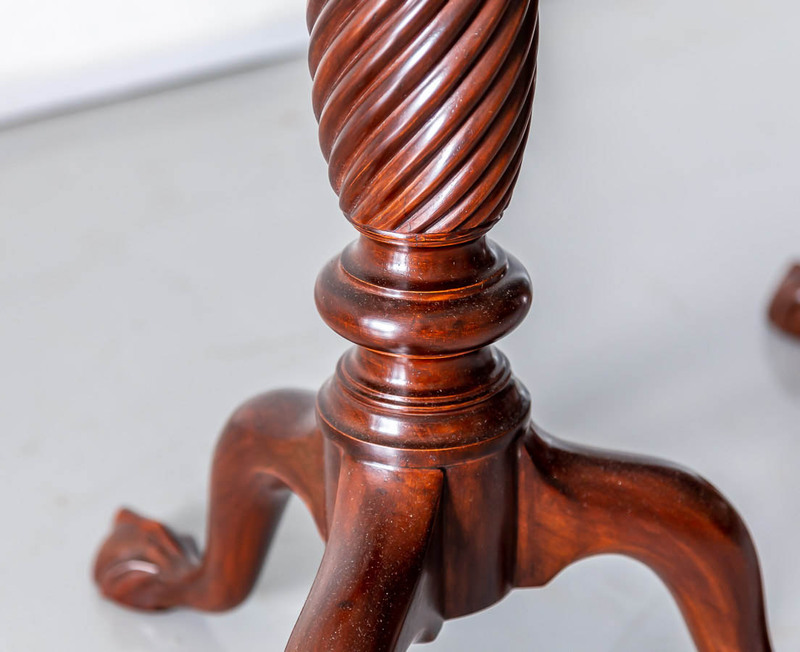 The mahogany has a rich warm shade with a striking grain.